There are few situations more stressful than having someone else’s well-being in your hands. That’s especially true when you’re providing senior home care for a member of your own family. As an unpaid and untrained family caregiver, the sheer weight of responsibility is often overwhelming. That’s why it’s important to manage stress as a family caregiver. “The world should do more to recognize the contributions of family senior home care providers—they truly are quiet heroes,” says Larry Meigs, CEO and President of Visiting Angels. Having spent decades in the senior care industry Larry has seen the unnoticed toll that caregiving can take on family members. Over 65 million Americans provide some form of senior home care for a member—or multiple members—of their family. That’s nearly 30% of the total population! For many, care turns into a part-time or full-time responsibility. The average family caregiver spends 20 hours a week providing senior home care, and many family caregivers work double or triple this amount. To help you avoid caregiver burnout, we’ve outlined some of the most helpful strategies for managing stress as a family senior home care provider. If you provide senior home care for an aging parent or relative, you should consider the following tips for managing your stress and energy levels. Often, the key to avoiding caregiver burnout isn’t simply dealing with stress when it arrives, but taking steps beforehand to prevent stress from occurring. Be Proactive When Organizing Care. One of the most effective ways to avoid stress is to make senior home care more organized and more structured. Simple tools like calendars and task lists can help you pace yourself and avoid stressful “last minute” situations. A Healthy Body… Avoiding exhaustion and burnout starts with your physical needs. Eat nutritious meals; avoid using unhealthy foods, alcohol, or medication for stress-relief; make light exercise part of your routine; and keep to a healthy sleep schedule. …And a Healthy Mind. Family providers of senior home care are at an increased risk of depression. If you think you may be suffering from depression, it is important that you care for yourself by speaking with a professional. Practice Regular Relaxation. Many people write off relaxation techniques like meditation, deep breathing, or even prayer as ineffective. But study after study has shown that these techniques do a world of good when it comes to managing stress. Seek Assistance If Needed. Too often, family caregivers refuse to admit they are overwhelmed by the level of responsibility. You shouldn’t feel ashamed to ask for help from family or professional senior home care providers. If you think that you could benefit from a helping hand with your loved one’s senior home care, call Visiting Angels today. 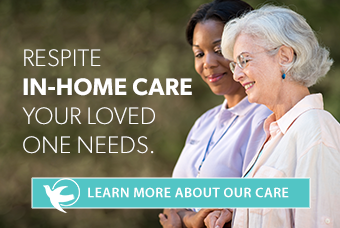 We’ll connect you with your local office and get you set up with a no cost senior home care consultation.